It was a day of jubilation and bloodshed, a surrealistic commingling of events. As the United States officially opened its embassy in Jerusalem on May 14, thereby fulfilling President Donald Trump’s campaign promise, Israeli troops, acting in self-defence, killed 60 Palestinians and wounded more than 1,300 from the Gaza Strip who had charged toward Israel’s border fence. In major West Bank cities, Palestinians took to the streets in anti-Israel and anti-U.S. demonstrations, but there were no fatalities. It seemed as if a third Palestinian uprising had broken out. The day began as 40,000 to 50,000 Palestinians, far lower than the 100,000 protesters expected, marched toward Israel at several points along its internationally-recognized border. The March of Return was promoted by Hamas — the ruling authority in Gaza for the past 11 years — as a non-violent expression of the Palestinians’ desire to exercise their “right of return” to Israel and their rage over the expulsion and flight of 750,000 Palestinians in 1948 from their homes in what is now Israel. As well, the mass protest was a symbolic denunciation of Israeli statehood, Israel’s blockade of Gaza and U.S. partiality toward Israel. In another respect, it was a crie de couer over the miserable conditions that prevail in Gaza. Israel’s siege of Gaza, along with the three border wars that have erupted since 2008, have wreaked havoc on Gaza’s economy and infrastructure. The statistics are staggering. 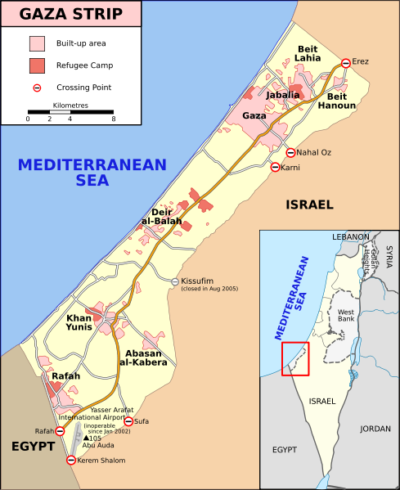 Approximately 39 percent of Gaza’s two million Palestinian Arabs live beneath the poverty line, with 80 percent of its civilians dependent on international food aid. Unemployment hovers around 43 percent. Much of Gaza’s water supply is contaminated by sewage and seawater. Shortages of clean water and fuel are exacerbated by poor health and education services. In short, Gaza is gripped by a humanitarian crisis of the first order. From the moment it got under way on March 30, the weekly March of Return was anything but peaceful, with a minority of Palestinian participants resorting to violence in a brazen attempt to tear down a perfectly legitimate border fence. In essence, Hamas — an Islamic organization that rejects a two-state solution and seeks Israel’s destruction — sought to achieve its ultimate objective by stealth and on the backs of ordinary Palestinians who have suffered so much. Israel, obliged to protect its border and its population, deployed tear gas and live ammunition to disperse the marchers, some of whom were members of Hamas’ armed wing. In these clashes, 49 Palestinians were killed. 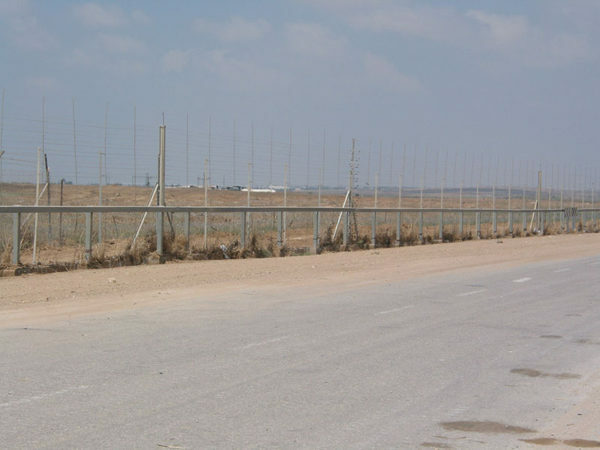 On May 14, during the latest march, a number of Hamas cells tried to breach the border. 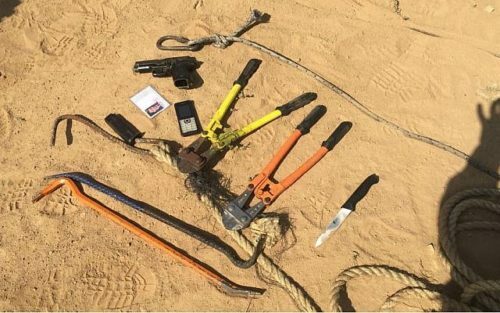 In one incident, Israeli troops blocked an incursion by eight armed Hamas operatives, killing all of them in a gun battle. Israeli tanks and aircraft destroyed several targets in Gaza. 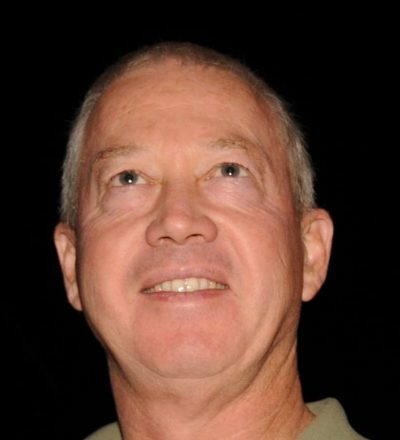 Israel’s housing minister, Yoav Galant, threatened to resume Israel’s campaign of assassinations in Gaza if the violence continued. “If Hamas continues to make mistakes — Yahya Sinwar and (Hamas) senior officials will be signing their own death warrants,” he warned. Playing with the lives of Palestinians, Hamas was acutely aware that Israel would be condemned for using lethal force to protect its sovereignty. In indignation, Egypt blasted Israel’s use of deadly force. Turkey and South Africa recalled their ambassadors in Israel. Branding Israel a “terror state,” Turkish President Recep Tayyip Erdogan, no friend of Israel despite a 2016 Turkish-Israeli reconciliation agreement, expelled the Israeli ambassador in Turkey. By way of retaliation, Israel expelled the Turkish consul in Jerusalem. The United States, however, blamed Hamas for the rash of Palestinian deaths. “The responsibility for these tragic deaths rests squarely with Hamas,” Raj Shah, a White House spokesman, said. As Palestinians in Gaza bled, Jews in Jerusalem rejoiced. 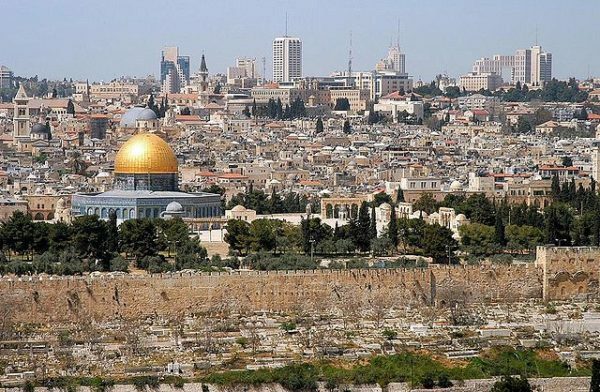 Breaking with American policy, Trump recognized Jerusalem as Israel’s capital last December. He did not explain whether his recognition applied to West or East Jerusalem, leaving the Palestinians fuming and the two-state solution at risk. Israel annexed the eastern half of Jerusalem in the wake of the Six Day War. In 1980, Israel reaffirmed its annexation, prompting 16 countries that already had embassies in Jerusalem to place them in Tel Aviv. These nations were: Holland, Haiti, the Ivory Coast, Zaire, Kenya, Bolivia, Chile, Colombia, Costa Rica, the Dominican Republic, Ecuador, El Salvador, Guatemala, Panama, Uruguay, and Venezuela. With one fell blow, Trump reversed this political setback. Trump, unable to attend the ceremony marking the relocation of the U.S. embassy to Jerusalem, sent a delegation of relatives and colleagues. It consisted of his daughter and son-in-law, Ivanka Trump and Jared Kushner, special envoy for the Israeli-Palestinian peace process Jason Greenblatt and Treasury Secretary Steven Mnuchin. U.S. ambassador to Israel David Friedman hosted the event. Only 33 of 86 countries with diplomatic missions in Israel sent representatives to the ceremony. European foreign ministries criticized the U.S. decision as a violation of international law and an unwise move likely to exacerbate tensions. 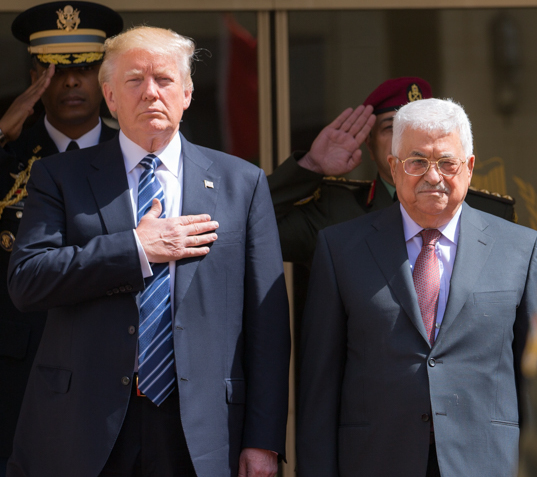 Pouring cold water on his statement, Abbas vowed that the Palestinians will not enter into peace talks with Israel if they are mediated by the United States “in any way, shape or form.” On May 15, he went one step further by recalling the Palestinian Authority’s envoy in Washington, D.C. So much for Trump’s aspiration to sign the “ultimate deal” and settle the Arab-Israeli conflict.